Kamau Kokayi, MD practices holistic integrative medicine in Santa Monica, CA. Here in this interview Dr. Kokayi explains what holistic integrative medicine is and how this type of medicine has been defined. What is holistic integrative medicine? Well, holistic was a catch-all phrase because people didn’t know what to say. Holistic was just a doctor that was doing something different. Maybe the doctor was using herbs, maybe the doctor was recommending some nutritional therapies, but what’s happened, then that begun to unfold. Then you have complementary and alternative medicine. Meaning it was gaining some more respect and people saw it was complementing. They will use essential oils with people doing chemotherapy, but they would use some other therapies with it. That was complementary and alternative. What was complementary, too, was mainstream medicine. Then you have integrative medicine. In integrative medicine, allopathic or mainstream medicine doesn’t necessarily have to be the big dome. Meaning that if you’re integrating something, you might rely more on nutrition, you might rely on herbal medicine, you might rely more on homeopathy or other disciplines because when you integrate these things, you find that these other disciplines can actually play a stronger role in helping the person to regain health. That’s different. Then functional medicine– What’s happened now, everybody realize if you get sick, you’re screwed. You don’t want to end up in someone’s ER. Now, we have the ideal functional medicine where functional and preventive go together. We’re looking at problems and saying how this a dysfunction in the body in terms of what is supposed to do. There might be problems with the body ecology. There might be problems with your leaky gut, in your intestines. There might be problems with the flow of energy in your body, but it’s a functional system. There are different ways to actually measure that. There’s so many different kinds of testing that came up to look at detox pathways. Just to look at the quality of your sputum to see how much it had changed in terms of saline morphology and stuff. In functional medicine, you get to try and engage the body’s function in real time as opposed to just taking a snapshot with any one test. You can do assessments to actually look at neuro-transmitted balance, things like that. Learn more about holistic integrative medicine and the holistic care that Dr. Kokayi provides for patients from the Santa Monica area by visiting the practice website or by calling the office during business hours at (310) 499-2195. Well, holistic was a catch-all phrase because people didn’t know what to say. Holistic was just a doctor that was doing something different. Maybe the doctor was using herbs, perhaps the doctor was recommending some nutritional therapies, but what’s happened, then that begun to unfold. Then you have complementary and alternative medicine. Meaning it was gaining some more respect and people saw it was complementing. They will use essential oils with people doing chemotherapy, but they would use some other therapies with it. That was complementary and alternative. What was complimentary, too, was mainstream medicine. Then you have integrative medicine. In integrative medicine, allopathic or mainstream medicine doesn’t necessarily have to be the big dome. Meaning that if you’re integrating something, you might rely more on nutrition, you might depend on herbal medicine, you might rely more on homeopathy or other disciplines because when you combine these things, you find that these other disciplines can play a stronger role in helping the person to regain health. That’s different. Then functional medicine– What’s happened now, everybody realizes if you get sick, you’re in trouble. You don’t want to end up in someone’s ER. Now, we have the ideal functional medicine where functional and preventive go together. We’re looking at problems and saying how this a dysfunction in the body in terms of what is supposed to do. There might be problems with the body ecology. There might be problems with your leaky gut, in your intestines. There might be problems with the flow of energy in your body, but it’s a functional system. There are different ways to measure that. There are so many different kinds of testing that came up to look at detox pathways. To look at the quality of your sputum to see how much it had changed in terms of saline morphology and stuff. In functional medicine, you get to try and engage the body’s function in real time as opposed to just taking a snapshot with any one test. You can do assessments to look at the neuro-transmitted balance, things like that. Learn more about holistic integrative medicine and Dr. Kamau Kokayi by visiting the holistic medical services page https://www.healinghealthservices.com/medical-services/ on the practice website. Patients who are interested in scheduling a consultation with Dr. Kokayi should call the office during business hours at (310) 499-2195. Kamau Kokayi, MD is a homeopathic doctor in Santa Monica, CA who practices holistic medicine. In this blog post Dr. Kokayi explains what a homeopathic doctor is and how he uses homeopathy and homeopathic treatments with his patients. A homeopathic doctor first and foremost is a good listener, because you really can’t understand what’s going on with a person until you learn to listen. Listening has to do with as much as what is said as what’s not said and just looking at the person as they’re talking to you. There are many things observed with a human being through the language of expression. I had to train myself in that way. 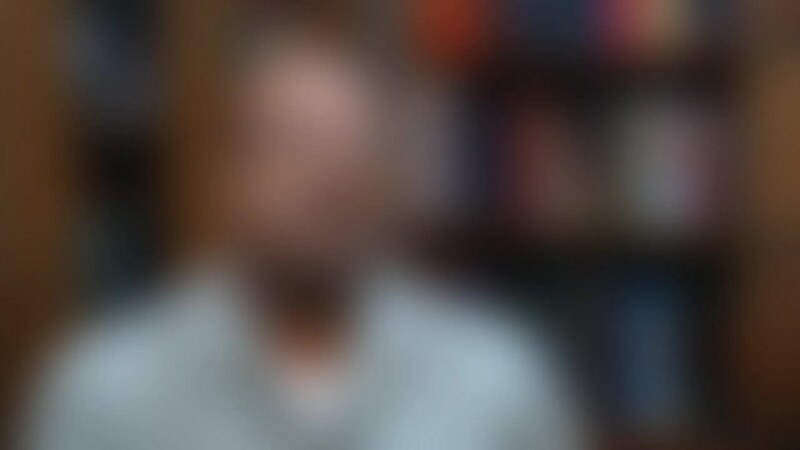 It made sense from the standpoint of homeopathy because in homeopathy you’re trying to understand what’s going on with a person and match that pattern to something generally in nature that’s just shown to create the same profile. That sounds a little strange, meaning that you’re trying to find something in life that’s capable of causing the same kind of pathophysiology or dysfunction and the way that we know that in homeopathy is things are tested on people. When you use a homeopathic remedy, you’re taking a substance and then you’re diluting it, when I say diluting it, you’re taking tiny doses of that that’s beyond what’s called Avogadro’s number, where there’s a singular mole of the original chemical substance. That’s been off the dose-response curve that’s used in mainstream pharmacology. However, when you give that kind of vibrational essence alcohol and this is similar to what is done with allergy treatment. When you give that to a person, all of a sudden it’s like dropping a little rock into a pond. It creates a ripple, and that ripple manifests in different physical, emotional changes, dreams, behaviors, but also physical changes as well. As a physician practicing homeopathy, when patients come in, I can begin to think about what remedy do they resemble. I’m treating more the person that has a problem with different medications and tend to concentrate in different areas. I have more issues around the heart instead of issues around depression, suicide depression all kinds of things. Remedies then have this fear of action. At this point in homeopathy, you have the whole periodic table; there’s been proving. You get an idea of the energetics of the periodic table and how that can unfold in a person’s life and what element they actually might need to balance them. There are several thousand remedies. We use what’s called a repertory, which is a book of symptoms. We can begin to look at these symptoms, and through computerization, we can get started to put signs together and see what remedy pictures emerge. It’s an excellent intellectual exercise, but at the heart of it are your powers of observation and analysis and just really feeling the energy of the person in front of you and who they are. 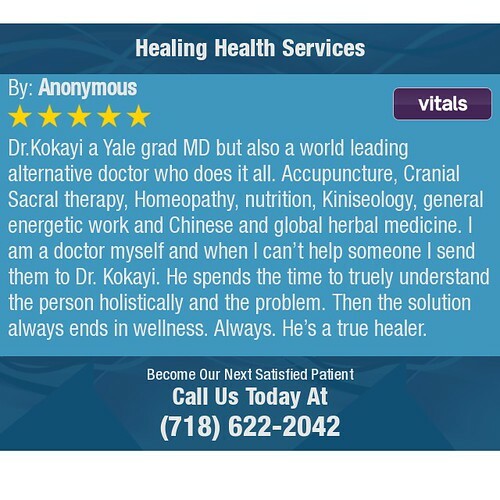 To learn more about Dr. Kamau Kokayi, a Santa Monica homeopathic doctor, and to schedule a holistic medical appointment, visit the practice website https://www.healinghealthservices.com/or call (310) 499-2195. 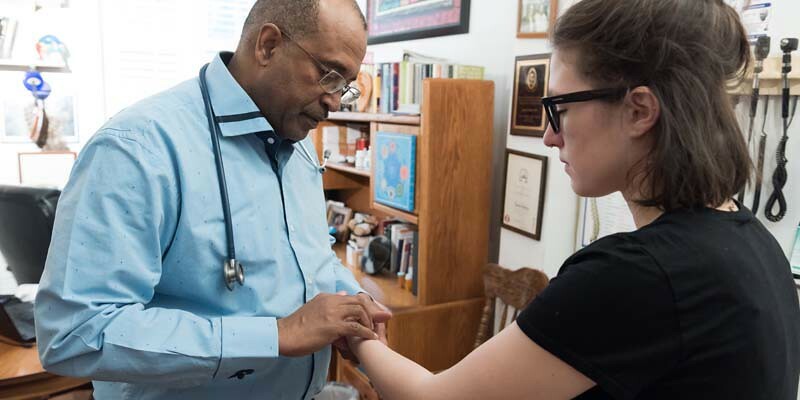 Dr. Kamau Kokayi is a holistic medical doctor at Healing Health Services who provides IV therapy for Brooklyn patients whose immune system need support. In this video Dr. Kokayi discusses how he uses IV therapy treatments at his practice. “I use IV therapy in different ways. One of the main ways that I use it is to support and supplement the immune system particularly for people that have maybe just gone over a serious illness they are weak and devitalized particularly the flu, pneumonia, bronchitis, diarrhea whatever intestinal problems. They’re ways to use IV is just with not even so much hydrate but just to give the nutrients that the person might be missing out on. To learn more about IV therapy at Healing Health Services with Dr. Kokayi, visit the practice online https://www.healinghealthservices.com/. Patients who are interested in IV therapy should call (347) 414-7779 to schedule an appointment.